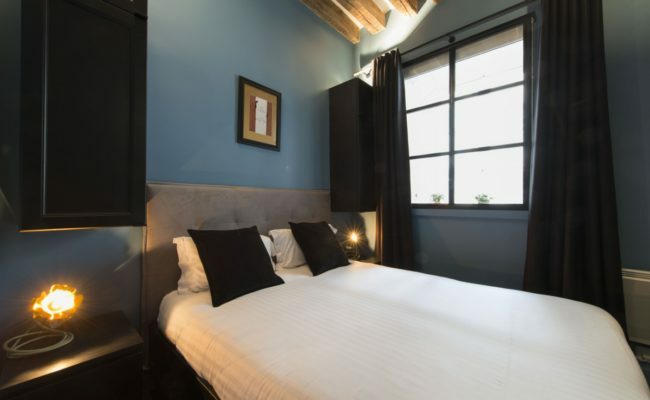 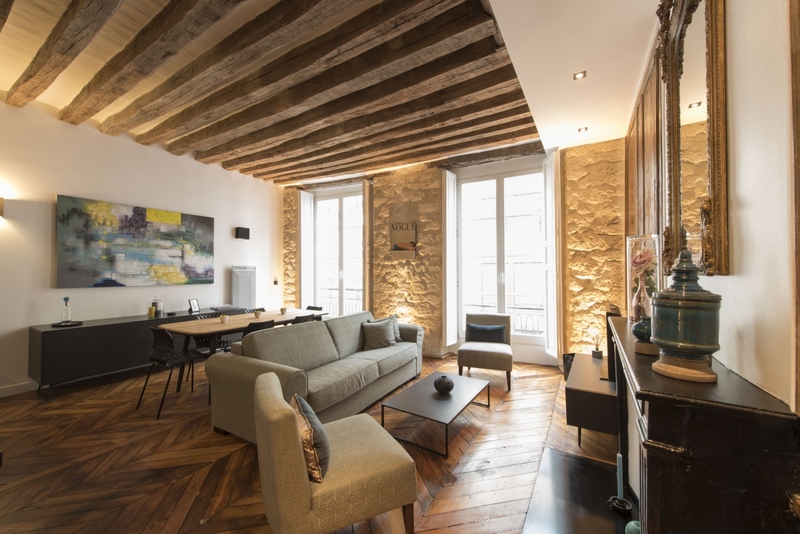 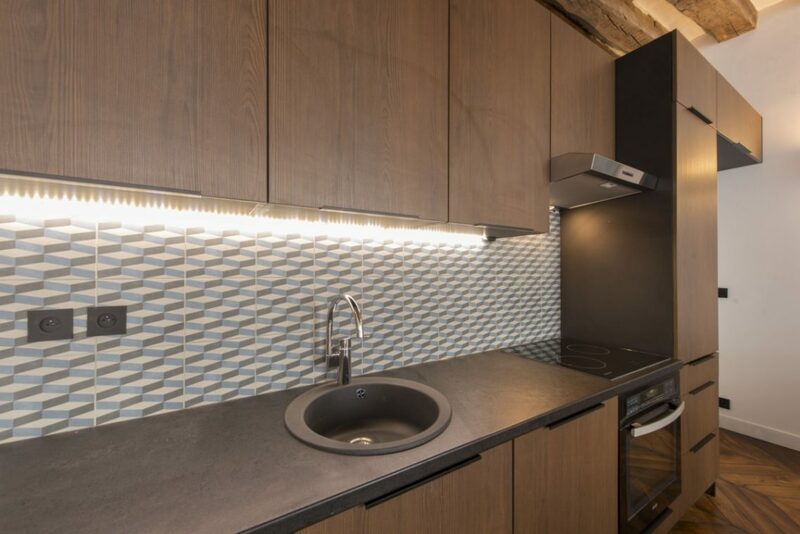 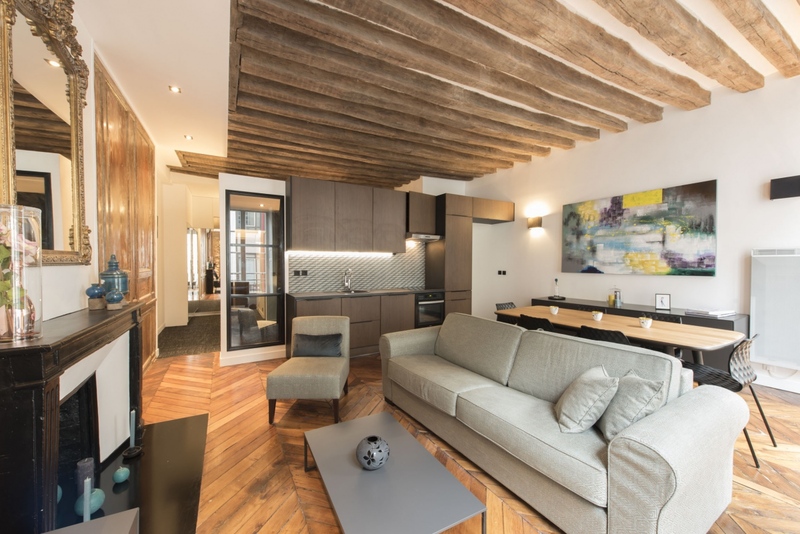 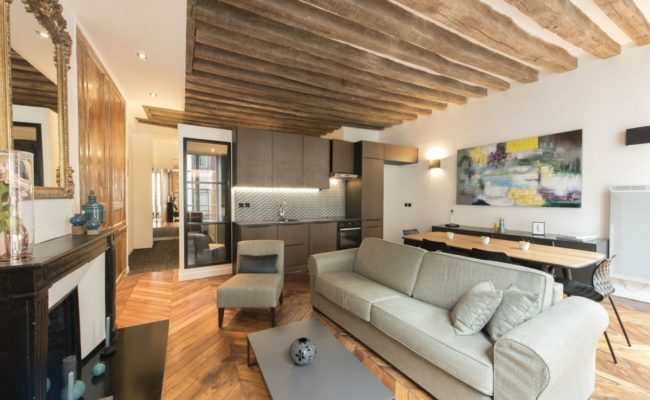 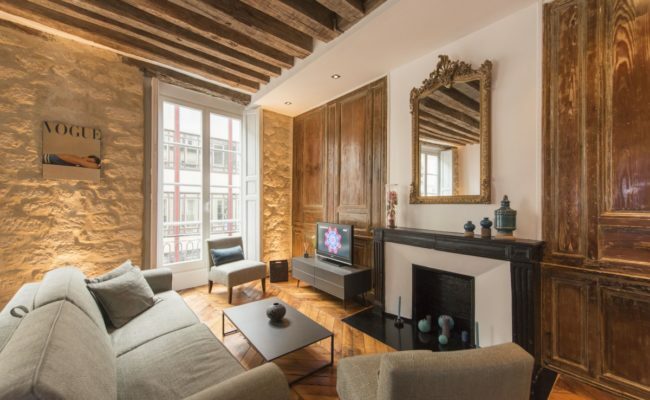 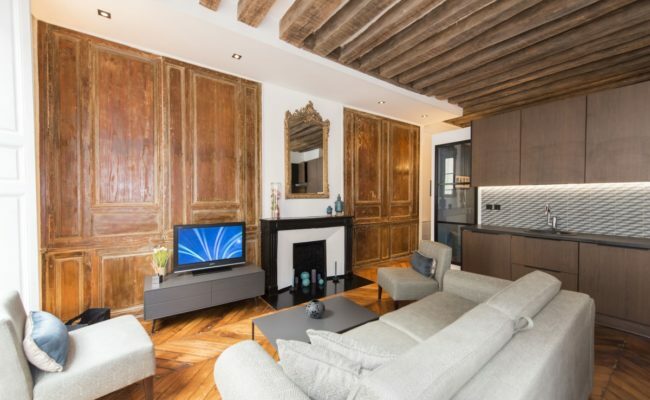 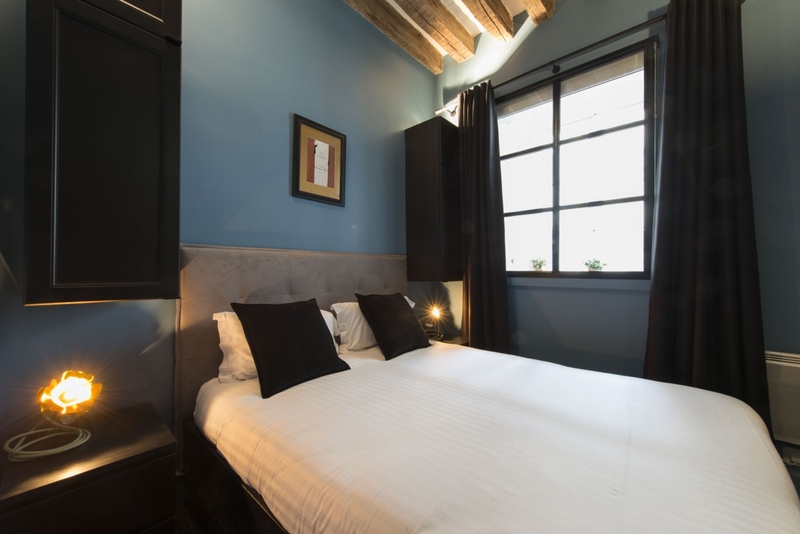 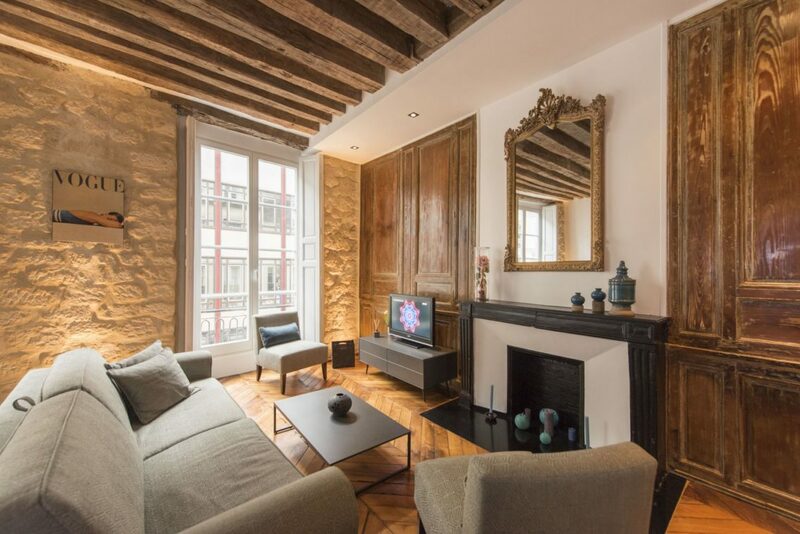 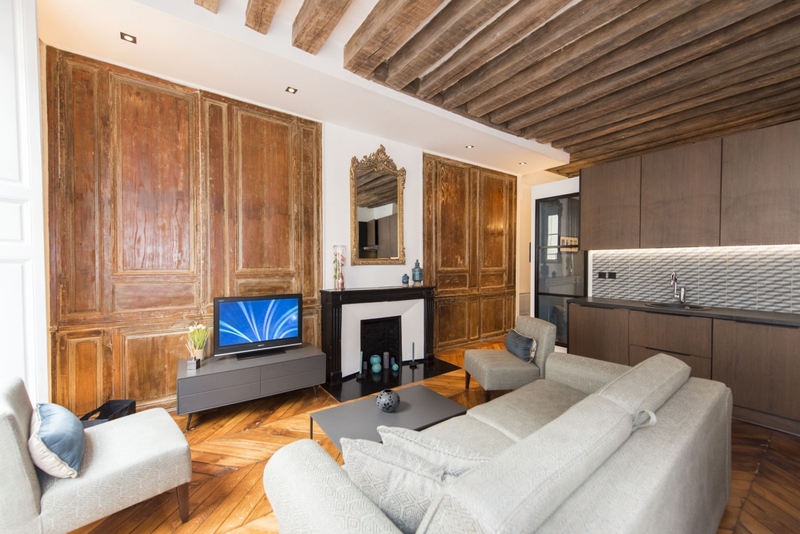 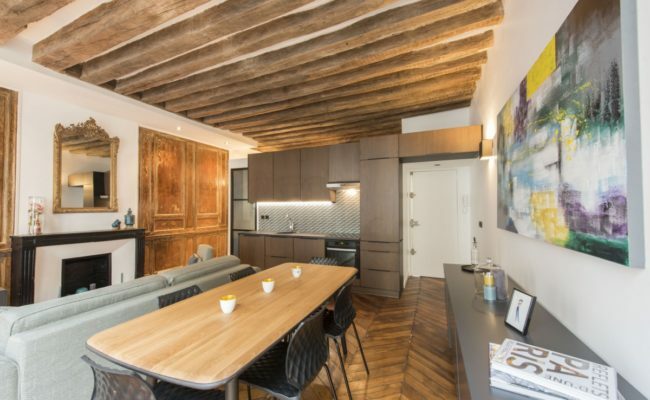 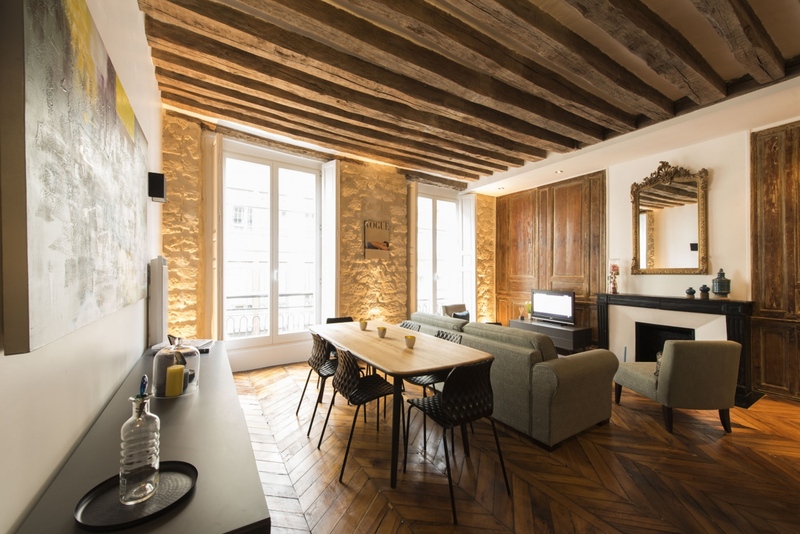 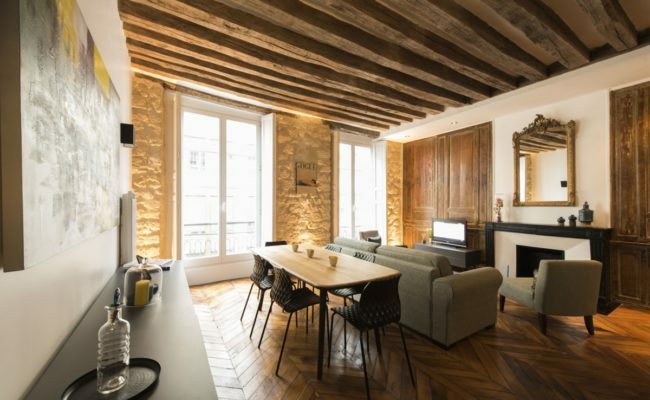 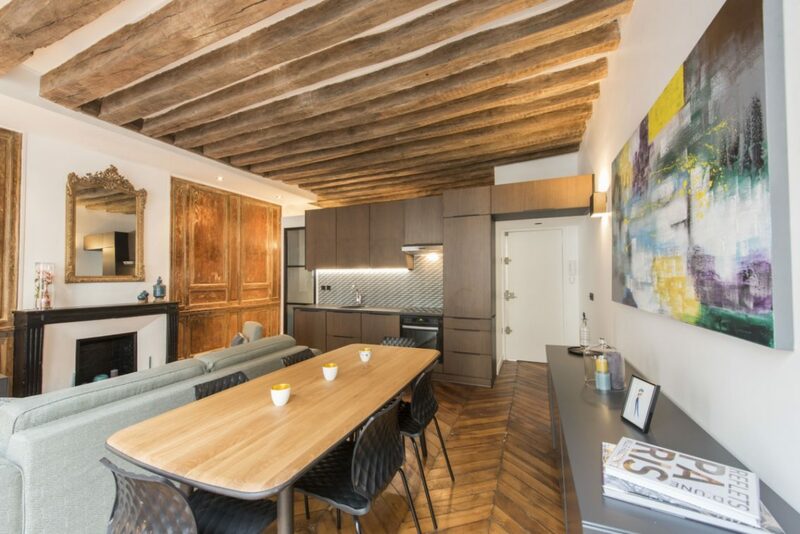 In the heart of the Marais near Hotel de Ville, this charming and beautifully renovated 58.6 m2 property features a large living / dining room with an open kitchen, perfect for modern living. 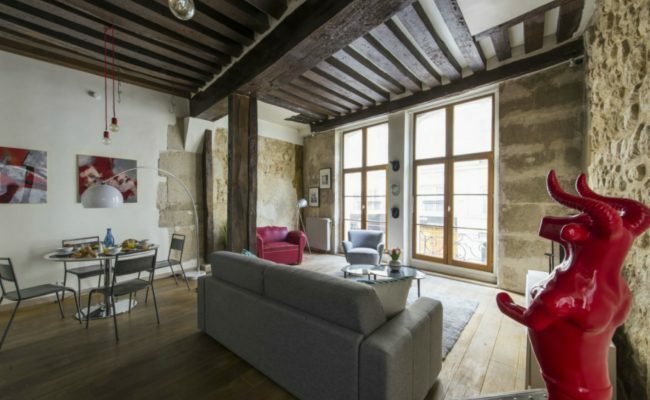 Two bedrooms, and a bath overlook a quiet interior courtyard. 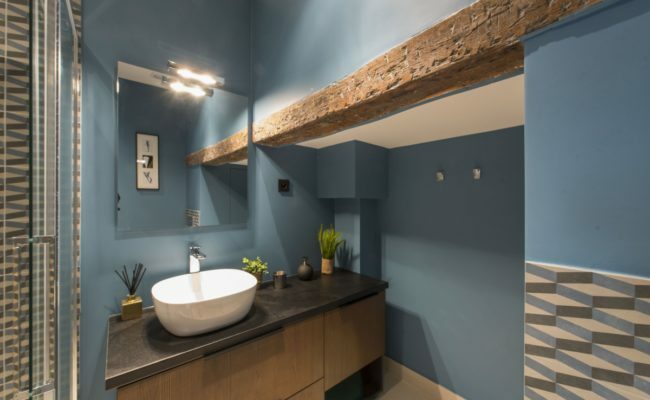 A high-end renovation exposed original beams and stone walls while offering modern amenities. 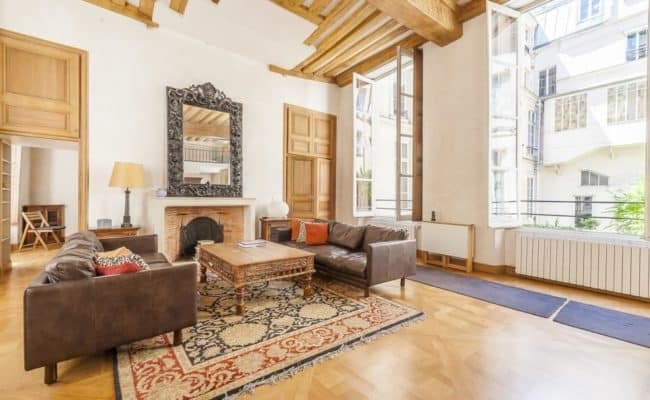 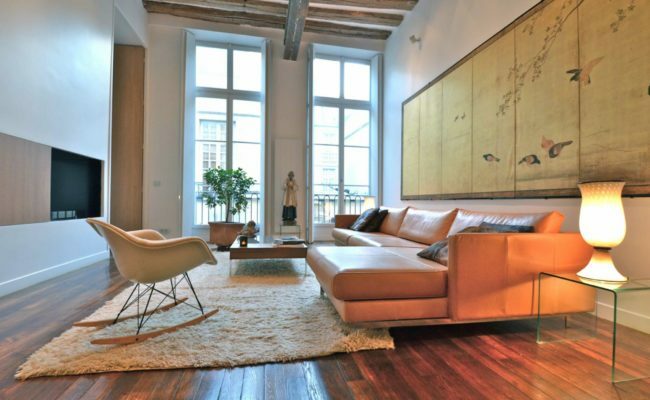 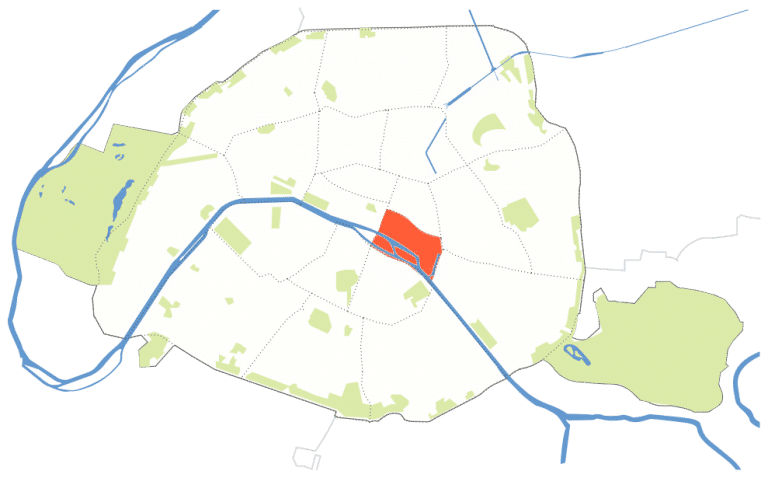 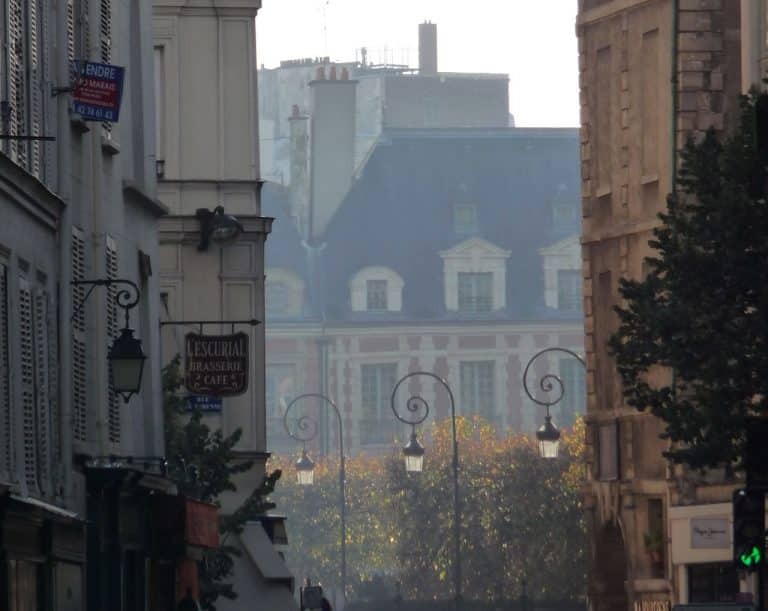 Perfect for a main residence or pied-a-terre within easy walking distance of all of historic central Paris. 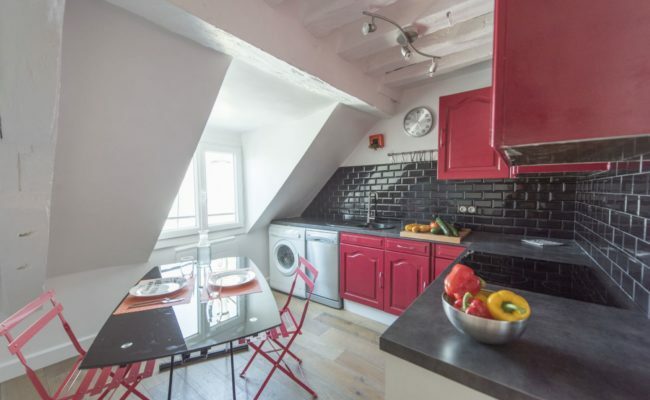 3rd floor (4th floor American) walk-up.